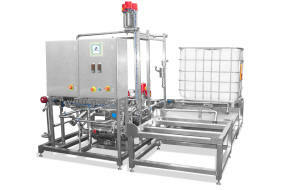 Skid mounted, sanitary modular systems helps simplify the installation of complicated processes and are used throughout industry. 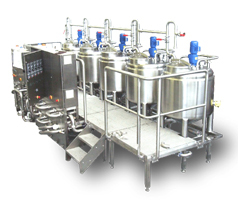 Providing a controlled environment for manufacture, skid mounting allows in process inspection and Factory Acceptance testing prior to delivery. Smart Project Management controlling all aspects of the Skid/Module with a single Project Manager/Director. All aspects of the project carried out with in house staff including design, development, drawings, calculations, fabrication, finishing, piping, wiring, testing, automation, integration and testing. Skid/Module can be built and completed in parallel with the facility build of pre-built ready for a shutdown/changeover period. Pre-validated system allows full documentation and testing protocols to be performed prior to shipment.